Looking for World’s most popular search engines list or top search engines other than Google? Here’s the list of top 20 best Search Engines in the World 2019. Top search engines list – In order to access the World Wide Web on your computer or smartphone, you need to use a web browser. If you want to search anything (text, link, or image) on the web, you need a good “Internet Search Engine” which will help you in getting results for your queries. There are plenty of internet search engines available online which you can easily use on your computers. But sometimes it can be really difficult in selecting the best search engines as there are countless of search engines available on the internet and with each day passing new search engines are developed. List of top 20 most popular search engines in the World 2019 | Top search engines other than Google and Bing. Different search engines come with different features and functions. If you are looking for some top search engines which will help you in getting quickest answers to your queries then you are at the right place as today we are going to share the complete list of best search engines in the world 2019. Before we share the world’s most popular search engines list or some of the most common internet search engines of the current time in this article, let’s find out first – What is a search engine? What is an example of a search engine? How do search engines work? Here we go. A search engine is simply a web-based tool which will allow users to find information on the internet (World Wide Web). If you want to know – what is an example of a search engine? There are many popular search engines available on the internet and some best examples of search engines are Google, Yahoo, and Bing (MSN Search) etc. Search engines use automatic software applications which are known as spiders, robots or bots and then display the information on the World Wide Web. If you are wondering how do search engines work? There are three basic stages for a search engine: Crawling, Indexing, Ranking & Retrieval. Crawling – where content is discovered. Indexing – where content is analyzed and stored in huge databases. Ranking & Retrieval – where the position is determined and a user query fetches a list of relevant pages. If you will type “list of search engines” or “best search engine” or “top search engines list” in Google, you will see thousands of search engines appear in the Google search results. But it is extremely difficult for almost all users to decide when it comes to the matter of selecting some of the best search engines of all time except all those popular search engines you already know about or have used before. As we all know very well that Google Search Engine is the most widely used search engine in the world right now, so obviously the first search engine which makes to our list of top internet search engines is Google. More than 70% of search engine traffic is being managed by Google. Do you want to know – How many searches does Google handle per day, month or year? According to the SearchEngineLand, Google now handles at least 2 trillion searches per year. We hope now you understand Google is the world’s most popular search engine. With latest algorithms, Google ensures that users are getting relevant information for the queries which they have submitted. In Google, Google Advanced Search and Google Advanced Image Search play a vital role in finding better and more accurate results. Addition to all these things, Google search engine also hosts Google Books. You can use Google Book Search or Google Print to find the complete text of books and magazines that have scanned, converted to text using optical character recognition (OCR) by Google and stored in its digital database. In simple words, Google = Find whatever you want. 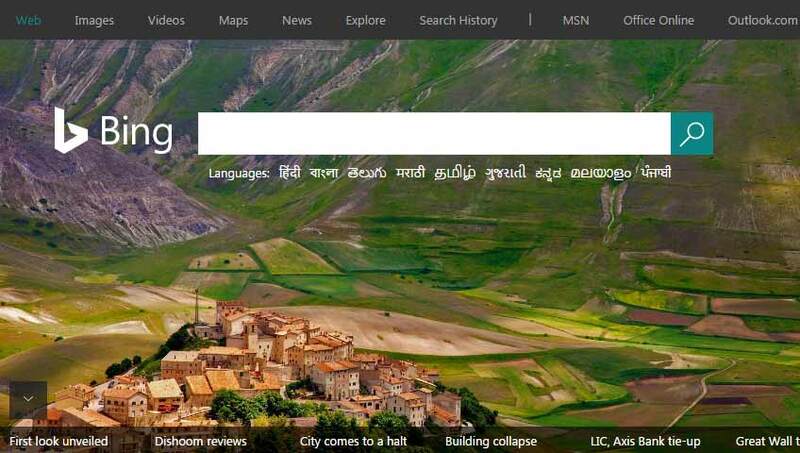 Bing web search engine is developed by Microsoft and was launched back in 2009. Developers work constantly in order to provide the best updates for improved user experience in Bing search engine. Bing was developed to compete with Google but the search engine failed to get the attention which it deserved as Google is ruling the search engine hub for years. The Bing search engine has its origins in Microsoft’s previous internet search engines: MSN Search, Windows Live Search and later Live Search. Some of the services which you can use in Bing are the web, image, maps and video search. According to the Wikipedia report November 2015, Bing is the second largest search engine in the US with a query volume of 20.9%. Daily changing of background image, Image search with continuous scrolling images results from page, Advanced filters or advanced (query) operators, Video search with adjustable setting for length, screen size, resolution, and source etc. are some of the most interesting interface features and media features of Bing search engine. Yahoo (YAHOO!) is the third popular search engine which makes to our list of ward’s top 20 engines 2019. Yahoo Search – Web Search is one of the oldest search engines in the history of search engines. The search engine giant Yahoo was founded by Jerry Yang and David Filo in January 1994 as “Jerry and David’s guide to the World Wide Web“. As per the recent reports, it was seen that Yahoo is having the market share of 7.68%. A lot of people use Yahoo as their e-mail service provider, latest news, entertainment, and sports information portal but there are less search engine users. The interface of this search engine is user-friendly and you can easily find the answer to your queries. Yahoo! Search, Yahoo Mail, Yahoo Maps, Yahoo Finance, Yahoo Groups, Yahoo Messenger, Yahoo News, Yahoo Sports, Yahoo! Answers, Tumblr, and Flickr are some of the most useful Yahoo products/services. Verizon has acquired Yahoo for $4.83 billion: After a long bidding process and many layoffs, Verizon has officially acquired Yahoo’s core business for $4.83 billion in cash, which includes Yahoo’s advertising, content, Yahoo search, and all other mobile activities. Founded back in 2000, Baidu is a world famous Chinese search engine. With this web-based search engine, you will be able to get results of different queries in the form of text, images, audio files and websites. Baidu has Alexa rank of 4 which means that this image search engine is accessed by a lot of people on the World Wide Web. You can access different products and services of this search engine. Some of the most popular services offered by Baidu are Baidu Map, Baidu Cloud, Baidu News, Baidu Knows, Baidu MP3 Search, Baidu Image Search, Baidu Video Search, Baidu Legal Search, Baidu Love, Baidu Patent Search, Baidu Games, Baidu Entertainment, Baidu Dictionary, Baidu Desktop Search, Baidu Internet TV, Baidu Bookmarks, Baidu Browser, Baidu Library, Baidu Experience, and many more. Baidu is used by millions of people in China. With a market share of 0.59%, AOL is the next search engine which makes to our list of the best search engine of 2019. The search engine was purchased by Verizon Communications for a whopping amount of $4.4 billion. AOL was started in 1983 and was known as Control Video Corporation at that time. 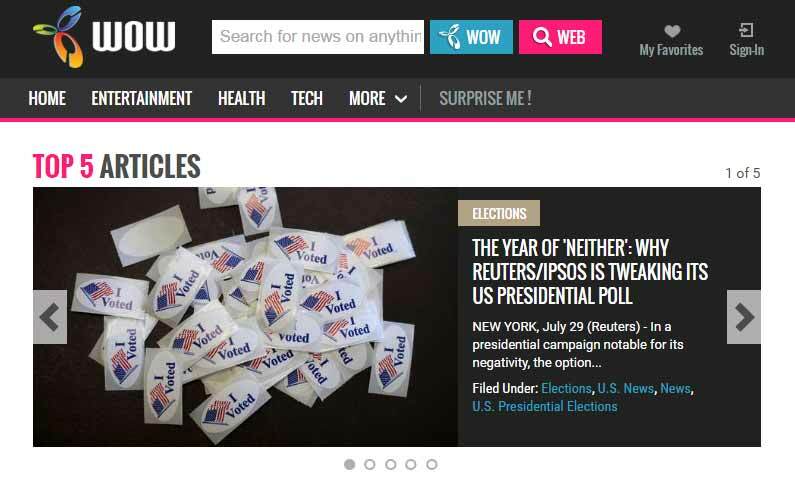 In 1991 its name was changed to American Online and in 2009 it was renamed as AOL Inc. The company is located in New York and provides services like AOL Platform and AOL advertising. Previously known as Ask Jeeves, Ask.com is one of the top search engines which you can use in 2019. Ask.com was founded in 1995 and is based on question/answer platform. You can ask any question or browse thousands of questions which are already available on the website and get answers to your queries. Ask.com is having a huge database of questions which is why it makes it to our list of popular search engines. If Ask.com is not having an answer to any question which you asked then the search engine will display search results from third party search engines. Very few people know about Excite, which has a collection of popular websites and services. Excite is a search engine which you can use to find answers to your queries. You can use this internet search engines to do deep research on any topic and that too for free. Along with the search engine feature, you can use Excite for different services such as weather updates, instant messaging and e-mail. Excite Web Search was launched in December 1995. In the Excite internet search service, More Search or Advanced Web Search allows you to limit the search to any of the nine following languages: Chinese, Dutch, English, French, German, Italian, Japanese, Norwegian, Portuguese, Spanish, and Swedish. DuckDuckGo is also a popular internet search engine which is known for giving advanced privacy to the users. A superior search experience with really smarter answers, less clutter, and real privacy are the identity of DuckDuckGo web search engine. If you are looking for some of the best image search engines to find photos online then DuckDuckGo is one of them. You can use DuckDuckGo photo search engine to find different kinds of images on the internet. In order to generate precise search results the world’s most popular search engines has partnered with different search engines like Bing, Yummly, and Yahoo. DuckDuckGo generates its revenue from Yahoo Bing search affiliate. DuckDuckGo is quite famous among users as the best search engine that doesn’t track you. Get all the results based on facts along with data about the query which you just entered using Wolfram|Alpha Computational Knowledge Engine. The search engine won’t provide you web pages or documents as the search results as you are only going to get facts about the query which you entered. This web search engine is also known as “computational knowledge engine“. Wolfram|Alpha was launched back in 2009 by Stephen Wolfram. Basically, Wolfram|Alpha (Wolfram Alpha or WolframAlpha) is more than a search engine. It gives you the access to the world’s facts and data and calculates answers across a various range of topics, including science, nutrition, history, geography, engineering, mathematics, linguistics, sports, finance, music, and a lot more. If you are living in Russia, you might be familiar with Yandex. Basically, Yandex is a Russian multinational technology company specializing in various Internet-related services and products. Yandex is one of the most used search engines in Russia and was launched in 1997. This web search engine is so fast and simple for browsing the internet. Some other countries where you will find Yandex used by a lot of people are Kazakhstan, Turkey, Ukraine, and Belarus. Yandex provides many interesting services such as online translator, Yandex Maps, Yandex money, Yandex Music, Yandex Video, Yandex Direct, and Yandex Disk etc. 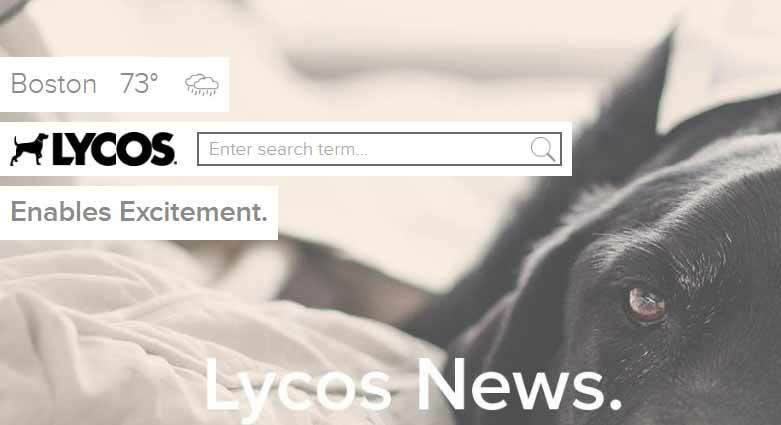 Lycos is another popular, old and free search engine around the world which can be used to get the answer to all the queries. Lycos was established in 1995 but the search engine is still having the presence in different parts of the world. With Lycos search engine and web portal, you can also access different services like web hosting, email, entertainment websites and social networking. In simple words, Lycos is one of those top search engines that offers a full-text search engine, a directory of Web sites organized by different categories, and reviews of selected sites. The next search engine which makes to our list of popular internet search engines 2019 is Wow (World of Warcraft). You can use Wow search engine to find answers to any queries and that too for free. Wow is having a great position in the WebSphere according to the Alexa rank. You can access different services provided by Wow such as email, image search, video search etc. World of Warcraft (WoW) is a multifunctional database website with talent calculators, item planner, latest news, helpful guides, and character profiles. If you are looking for a web search engines which will give you precise answer to all your queries then you need to use WebCrawler Web Search. The service is used by a lot of people as the results which are provided by WebCrawler are to the point. Fundamentally, WebCrawler is a well-known metasearch engine that blends the top search results the Web, images, audio, video, news from Google Search and Yahoo! Search, Bing web search, and many more other search engines around the world. WebCrawler is also known as internet’s first full-text search engine. Infospace is other interesting search engine which is available to all the users. InfoSpace changed its name to “Blucora” and it is a provider of various internet-related services. You can access this search engine for free. The developers add new algorithms from time to time which ensures that precise results are given to the user. InfoSpace (current name Blucora) also uses the metasearch technologies to offer comprehensive and relevant search results from around the web. Info.com is also a metasearch engine site like WebCrawler and InfoSpace search engines which searches over a billion websites and web pages to find you the exact information you need. Info.com offers the best results from the world’s leading search engines like Google, Yahoo!, Bing.com, Ask, LookSmart, About, and Open Directory. If you want to get information about any mobile phone, celebrity or just want to retrieve information then you should use Info. This web search engine is famous for retrieving data to the queries which a user enters. Info.com gets 13,500,000 unique visits per month. Contenko is another most popular search engines in the world. Contenko is famous for essays, books, and scholarly results. If you are a student and want to make your assignment then you can take help of Contenko to get better results as it is going to help you a lot. You can also prepare for your exams using this popular search engine or web search. So it can be said that Contenko is really a faster way to browse the web. It’s quite easier to surf the web through Contenko’s search simplification. Dogpile Web Search is the also a well-recognized search engine which is easy to use and comes with a lot of advanced search features. Dogpile gives suggestions for the queries as soon as you start typing in the search bar. 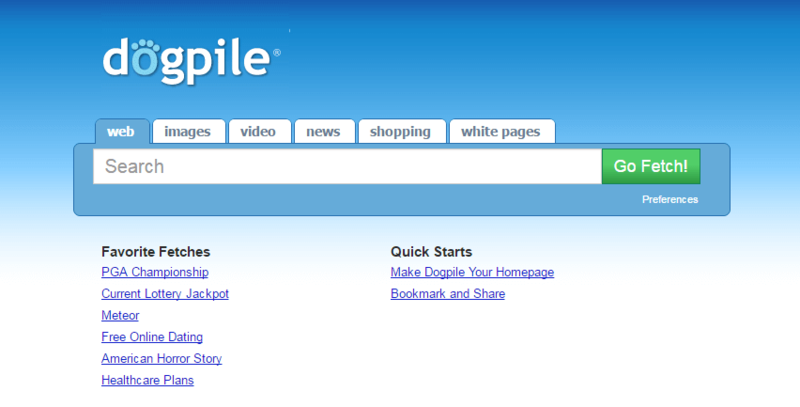 You can also search for songs, images, and videos using DogPile. This web search service also uses the metasearch technology but it’s really faster than all other top search engines all over the world which use the same technology for fetching the data from different internet search engines. (18) Alhea – The Web for Everyone! Alhea is not a famous search engine as it is not used by a lot of people. The search engine performs like all other search engines and it retrieves data from the web servers and displays to the user. Alhea – The Web for everyone is very easy to use and it is known for providing advanced privacy to the user. MyWebSearch is a new search engine which is why many people won’t know about it. The search engine gets 60,000,000 unique visits per month which are the reason that its Alexa rank is very recognizable. As MyWebsearch comes with a user-friendly interface it makes very easy even for a newbie to get answers to their queries. MyWebSearch (also known as MyWay Search Assistant or MyWeb Searchbar) was a web-browser add-on that purportedly offered various additional functions to a user’s internet browser. Last but not the least is ixQuick. ixQuick Search Engine is having both mobile and desktop version. The web browser can be accessed for free. You can search any query you would like to use ixQuick. If you are looking for some top search engines that respect your privacy then ixQuick Search Engine is one of them. Yes, you heard correct! Startpage by Ixquick is the world’s most private search engine and web search portal. Generally, all most popular search engines worldwide track your search history and create profiles on you, serving different search results based on your search history. Thankfully, ixQuick is one of those top search engines that don’t track user data like Google. Search anonymously with Startpage Search Engine by Ixquick. So, these are the top 20 best search engines of all time which make our list of best search engines in the world 2019. Let us know using the comments section below – How many search engines are you using on your web browser? According to you – What are the most popular search engines around the world 2019? What is the second most used search engine in the World? In your experience, what kind of alternative search engines other than Google work best? Let us know about your experiences of other search engines besides Google or top search engines like Google! What is the First Search Engine in the World? Great list of top search engine of the world. No doubt, Google is top search engine of the world. I always search anything in Google because it’s my favorite search engine. most of my traffic come from Google search engine. so I always recommended Google search engine to search any thing. Bing and yahoo are also good. most of other search engine are new for me. and thank you for telling me about these search engine. Any way thanks for sharing such interesting post with us. You have gathered and excellent collection of websites here. Nice post. Keep up the good work man! Has anyone seen the new search engine GoPit? I love to use this search engine. It also has a really cool app.